InspectionXpert OnDemand for CAD 2015 SP07 has been released! InspectionXpert OnDemand for CAD continues to be easier to use and offers additional flexibility and options for extracting data, managing revisions, and much more!. This Service Pack Release (“SP07”) is our 7th major upgrade for this product in 2015, and offers our clients 5 powerful new features and capabilities in addition to a wide variety of other fixes and improvements. Revision Management - Process revisions for all supported CAD formats! Characteristic Identification with automatic Balloon Appearance presets - Define a variety of balloon appearance settings to be automatically applied based on the Classification of your characteristics. Extract text from CAD file for Project Properties - Extract annotation text to populate your Project Properties. 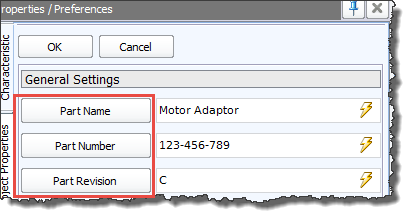 Import CAD document properties / parameters with buttons on Project Properties - Populate Project Properties with properties and parameters stored within your CAD files. New extraction settings for Notes - More granular control over filtering the extraction of note annotations. Revision Management- Users can now process revisions using this new feature. 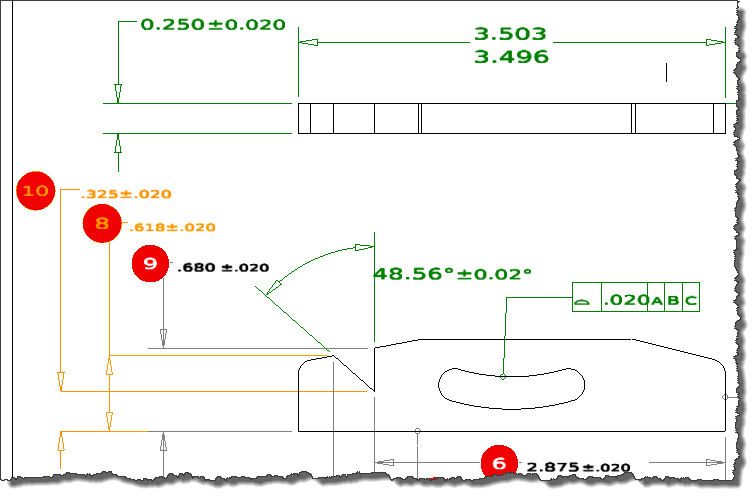 Revision Management automatically analyzes changes between two CAD files and provides a summary of all annotations that have been removed, modified, or added. Users can choose to have InspectionXpert OnDemand for CAD automatically process all of the changes between revisions, or to highlight all changed items in the project, allowing the user to review each item individually. See screenshots below for more details. 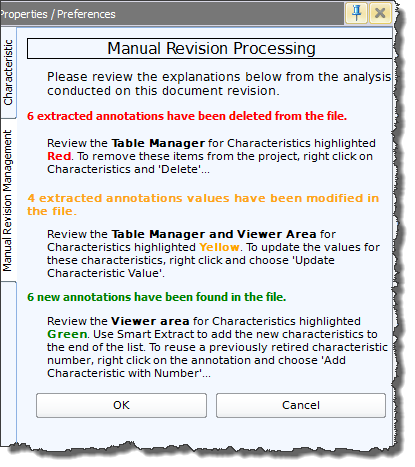 Manual Revision Management change summary with instructions for manual processing. 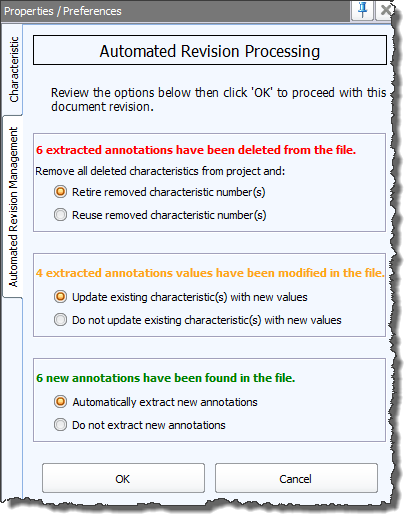 Automated Revision Management change summary with user preferences for automatic processing. Modified and removed characteristics are highlighted orange and red in the table manager. Modified and new annotations are highlighted orange and green in the viewer area. Characteristic Identification with automatic Balloon Appearance presets- New “Characteristic Identification” feature found within the Ballooning Project Options can be used to predefine a variety of balloon appearance settings that will be automatically applied based on either a customizable Identification Criteria or a selected Classification. This allows users to quickly apply unique balloon appearances to special characteristics for easy identification when performing an inspection. Extraction buttons for Project Properties- New extraction buttons for the Project Properties now enable users to extract text from annotations to populate these fields without the need to type. 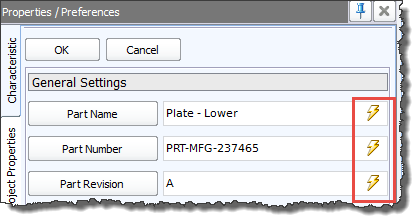 Import document properties or parameters for Project Properties- New buttons for each Project Property name enable users to automatically populate this data. 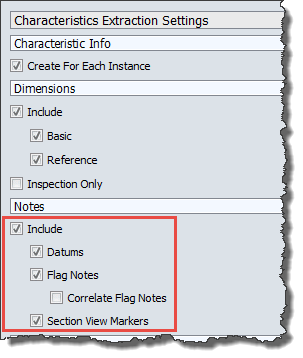 New extraction settings for Notes- Users can now choose to automatically filter the extraction of Datums, Flag Notes, and Section View Markers. No longer a need to avoid these undesired Note types with the SmartExtract tool or to manually remove them after extracting. How to enable these all updates in my IXOD CAD sotware,is auto update or we did by manual ? Kindly share your guidance with me. Jeff Cope • 202 days ago The updates are automatic. Technical support can help you if you need some help finding the new features.